Alexander Kibalnikov's name occupies one of the most prominent and significant places in the brilliant cohort of Soviet artists. When we recall his works — monumental sculptures, portraits, memorial and monumental compositions — it becomes clear that Kibalnikov's art has a consistent creative direction. It is characterized by its loyalty to the principles of civic consciousness and humanity, high integrity, strong inherent bond to the fate of his native country and its people. It is among the people that the artist found subjects for his art, individuals of strong will and courage, resolute, beautiful and wholesome in their thoughts and aspirations — people who embody a certain social ideal. Kibalnikov's path to becoming a great artist was not easy. He was born in 1912 in Orekhovo, a settlement on the river Don (now in the Volgograd region), into a poor rural family with a long tradition of craftsmanship, including that of wood carving. Kibalnikov was a small child when his gift for art became apparent. He tried his hand at making sculptures from clay and carving animal figures in wood. Unfortunately, his parents did not support their son's interest, wanting him to receive a technical education. Young Sasha — the Russian nickname for Alexander — was not happy with such a future. He ran away from home twice, without money or documents, and went to Saratov, where he tried to be admitted to the local art school. For two years the youngster worked as a loader at the port, trying to make a living and complete all the paperwork he needed to be admitted to the art school. Kibalnikov made many drawings, mostly portraits of his friends, natives of the Volga region. Those pencil drawings received high grades at the entrance exams, and the talented young man was enrolled in the Department of Painting at the Saratov School of Art and Manufacturing. After graduation, Kibalnikov worked as a stage-and props-designer in a theatre; however, it was becoming clear to him that theatre was not his calling. The young artist was increasingly drawn to sculpture, to working with hard materials, to overcoming the challenges of three-dimensional space. 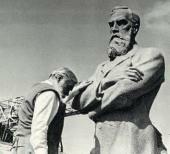 The contest to create a sculpture of Nikolai Chernyshevsky in Saratov, announced in 1940, offered Kibalnikov a chance to try his hand at sculpture. By then, he had already thoroughly examined the collection of the Saratov Art Gallery, studied the works of major sculptors of the past and present in an effort to understand the techniques, methods and goals that the creators of classical masterpieces had set for themselves. This knowledge, combined with his natural talent, allowed Kibalnikov to master the abundant expressive means offered by the plastic language of sculpture. 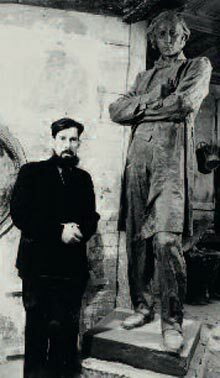 Kibalnikov was still a student when he became interested in creating the sculpture of Chernyshevsky, a revolutionary, philosopher and writer who had dedicated his life to serving his country. 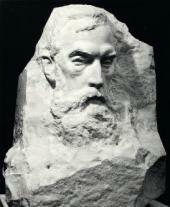 The artist drew with great enthusiasm a series of remarkable studies for the future monument, which included the writer's portrait. 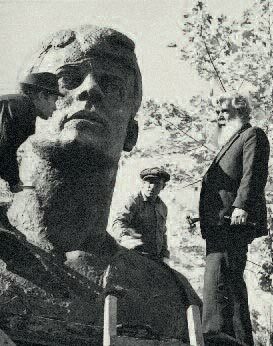 Kibalnikov's work on his sculpture of Chernyshevsky went well until it was interrupted by World War II; living in Saratov during the war years, he created "propaganda posters" in the form of sculpture and monumental compositions dedicated to the military and labour feats of the Soviet people, such as "Not a Step Back", and "From Factories to Combat ", and others. Kibalnikov's art reached its peak in the post-war years. His gift for creating monumental sculpture found brilliant expression in his works. 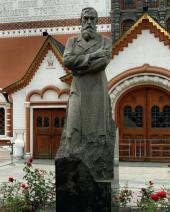 Kibalnikov's two sculptures were unveiled in Saratov: his monuments to Nikolai Chernyshevsky and Alexander Radishchev, the distinguished Enlightment philosopher. Both these sculptures are executed with profound insight into the subject's personality and deeply engage the viewer through their compositional and plastic expressiveness. 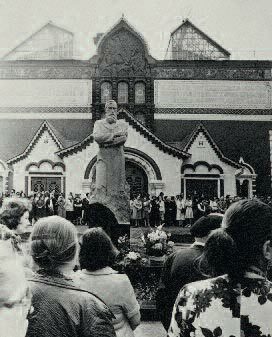 In 1949, Kibalnikov's industrious work on creating the image of Chernyshevsky was rewarded with the USSR State Prize for his bronze statue "Nikolai Chernyshevsky" (1948), now housed at the Tretyakov Gallery. Kibalnikov made extraordinary contributions to the genre of the sculptural portrait. Blessed with the ability to understand an individual's inner life and grasp the psychological make-up of his or her character, Kibalnikov masterfully used the plastic features of the material he was working with to reveal his creative vision, and produced a whole gallery of expressive sculptural portraits of his contemporaries. 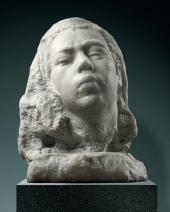 One of his most soulful works is the sculptural portrait of his daughter, "Awakening". The head of a young girl waking up, carved from a beautiful piece of marble, draws in the viewer with its depth of feeling, tenderness and lyricism. The combination of the two different kinds of finish — the smooth surface of the finely modelled face and the deliberately rough, uneven rock from which the head emerges — evokes the feeling of living flesh, conveying the warmth of the delicate, youthful complexion, and the softness of the girl's silky hair. 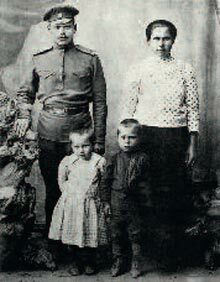 Mayakovsky was extraordinarily popular. Many artists of different generations, especially sculptors, turned to the poet's image. Indeed, it was as if nature purposefully "moulded" him to be immortalized in granite, marble and bronze. 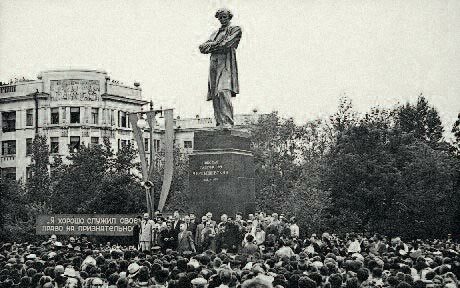 The story of the monument to Vladimir Mayakovsky in Moscow began in 1940, exactly ten years after the poet's death on April 14 1930. On that day, the foundation for the monument was laid in the square that bears his name; soon after that, a nation-wide competition for the best design was announced. This work, interrupted by World War II, was resumed in 1944 and continued for another ten years. 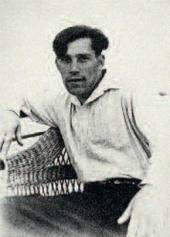 Kibalnikov took part in it from the very beginning. 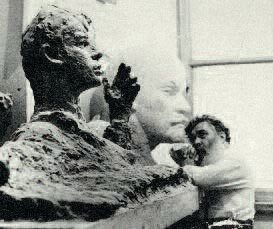 Many famous masters tried to recreate the poet's image in sculpture, among them Iosif Chaikov, Matvei Manizer, Sergei Konenkov, Nikolai Tomsky, Yevgeny Vuchetich, Nikolai Nikogosyan, Mikhail Anikushin, Vladimir Tsygal, Lev Kerbel, and others. In 1953, the competing designs were exhibited in the halls of the Historical Museum to ensure a broad public discussion. Everyone who was interested in the future of the monument came to the exhibition. Kibalnikov's design received universal support due to its vibrant expressiveness, and won final approval. The monument is sculpted in big, energetic shapes; there are no minor components — everything is important. Every detail is thought through and justified. The poet's head and face are particularly well executed. The sculptor achieved the expressiveness of "generalized plasticity", so essential to the genre of the monumental portrait, expressing the magnitude and inner strength of the poet's personality. The monument to Mayakovsky stands at the intersection of two major city roads, the Garden Ring and Tverskaya Street. There is plenty of open space around it; from every direction its silhouette is clearly visible against the sky, and draws the eye. 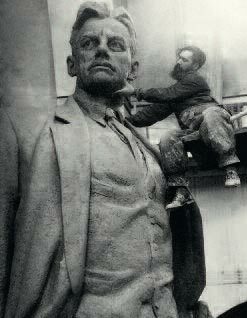 In 1959, the sculptor was awarded the Lenin Prize for this work. The poet's image found expression in a number of excellent portraits by Kibalnikov. One of them, cast in bronze, adorns the headstone of Mayakovsky's grave at the Novodevichy cemetery. Kibalnikov's work on the monument to Sergei Yesenin in Ryazan is also interesting. The sculptor was captivated by the idea of creating a monument which would reveal the bond between the poet and the Russian land, its people. It is this innate, "blood tie" that gives Yesenin's talent and his beautiful verse such intensity. The monument's design is unexpected and original: the sculpture shows only the poet's upper body, as if it is growing out the earth. The expressive gesture of his wide-open arms, as if he were embracing the surrounding nature, coupled with the soulful expression of his face, creates an impression of poetic verve. The monument's location was well-chosen — on the high bank of the river Trubezh, with a magnificent view of the expanses of the Oka river. This monument to Yesenin in Ryazan was unveiled in 1975, in commemoration of the 80th anniversary of the poet's birth; for it, the sculptor was awarded the Repin Prize of the Russian Federation. For more than 20 years Kibalnikov nurtured his dream to create a monument to Pavel Tretyakov. 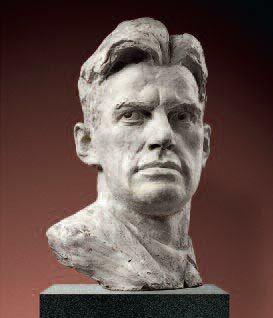 The sculptor had great admiration for this remarkable man, a connoisseur and fine judge of Russian art who dedicated all his life's efforts, as well as his material resources, to advancing his country's culture. Tretyakov assembled and donated to the state a priceless collection of Russian art, which became a world-famous national museum. 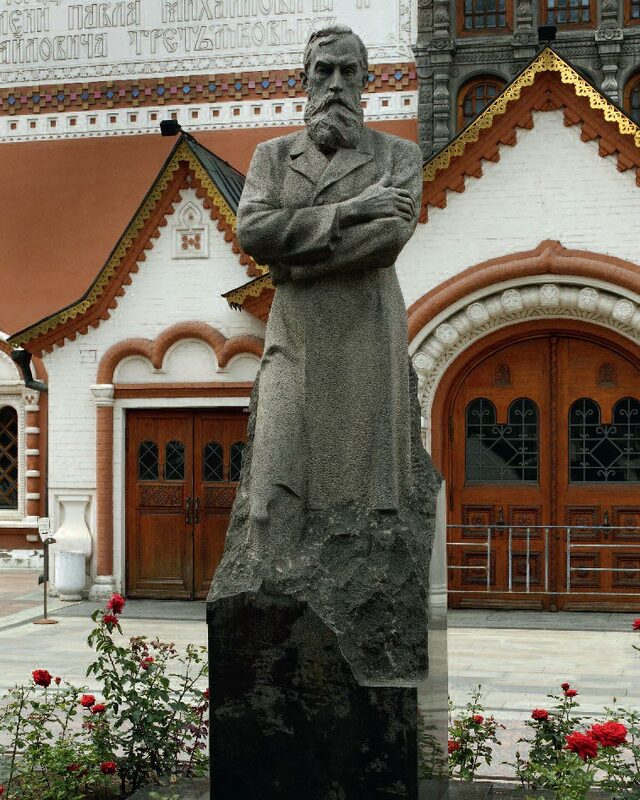 The sculptor was delighted to learn of the decision to place a monument to Tretyakov in front of the gallery. He had long been ready for this work — he had studied available documents and Tretyakov's portraits by his contemporaries, such as Ivan Kramskoi, Ilya Repin, and Sergei Volnukhin. 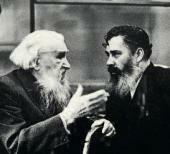 Kibalnikov could also count on his own experience, having created Tretyakov's sculptural portrait in marble in 1961. Now the task was to immortalize Tretyakov's image in monumental form, to find a sculptural form that would be consistent and actively "engaged" with the surrounding complex environment of architecture and space — after all, it was the elegant fagade of the Tretyakov Gallery, its design based on sketches by Viktor Vasnetsov, which would be the backdrop for the monument. Kibalnikov fulfilled his task brilliantly. Tretyakov's figure is masterfully carved from a solid block of black marble. The material defined the statue's plasticity: it is minimal, sculpted in large, severe shapes. Tretyakov is shown standing with his arms folded; he is serene, lost in deep thought, as if welcoming the visitors to his gallery. His figure is full of dignity and grace; he is ingenuous and approachable. Everything about the sculpture is expressive. The outline of the monument is impressive both from a distance and at close range. The sculptor found the right scale and balance between the monument and its pedestal. Both the size and colour of the monument blended seamlessly into the historical architectural complex of the Tretyakov Gallery. 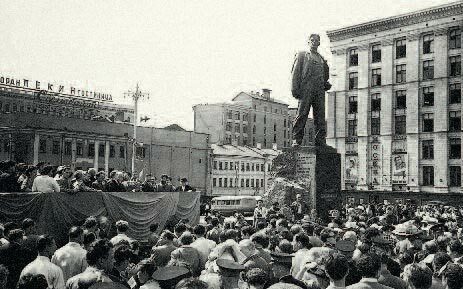 The monument was opened in 1980; along with Kibalnikov's monument to Vladimir Mayakovsky, it took its rightful place as one of the Russian capital's landmarks. It is important, too, to mention the leading role Kibalnikov played in the formidable effort by a team of sculptors and architects to create the memorial ensemble "Defenders of the Brest Fortress". He created three main sculptural compositions for the memorial: "A Soldier", "Thirst", and the obelisk "Bayonet". The Brest Memorial, dedicated to one of the most tragic chapters in the history of the Great Patriotic War, is as precious as the war memorials in Volgograd, Khatyn, and Salaspils — all of them safeguarding the memory of the Soviet people's great heroism. Kibalnikov's life in art was a happy one. Distinctive and prolific, his work received recognition, and he was honoured by the state with high awards and titles: a People's Artist of the Soviet Union, a Member of the USSR Academy of Art; he was awarded the Lenin Prize and the State Prizes of the Soviet Union and Russian Federation. For many years, Alexander Kibalnikov was a Member of the Presidium of the USSR Academy of Arts, the head of the Academy's Department of Sculpture, and an honorary citizen of Saratov and Ryazan. Kibalnikov's art is deeply personal, unique and timely. To this day, emotionally robust and imbued with the artist's passionate love for the people, it finds its way to the viewer's heart. S.M. Eisenstein, "Zametki o Mayakovskom" (Notes on Mayakovsky), "Isskustvo Kino" (Cinema Art), 1958. #1, p. 75.